SAN DIEGO, CA — January 17, 2017— IT Brand Pulse, a trusted source of research, testing and analysis about data center infrastructure, today announced the results of a total cost of ownership study. The analysis includes three traditional SAN solutions from EMC, IBM, and NetApp, in an apples-to-apples comparison with five software-defined storage solutions from DataCore, Red Hat, Scality, SUSE and VMware. The study examined the cost of hardware, software and support for 250TB of storage, growing 25% per year, and used to store infrequently accessed data in an online archive. Red Hat, VMware and DataCore—traditional enterprise software vendors—ranked #2 through #4 for most expensive solutions. I was not surprised by the costs of the VMware and DataCore solutions, but I experienced sticker-shock over the pricing of the Red Hat Ceph solution. I expected a price comparable to the SUSE version of Ceph software, not a price similar to premium-priced solutions from EMC, VMware and DataCore. SUSE emerged as the value leader with best-in-class pricing for software licensing and support. Their product also includes CephFS which is not yet available from Red Hat. TCO case studies are designed to provide busy IT Pros with vendor-independent data about the total cost of specific products. This case study examines eight comparably-equipped enterprise storage solutions: four from various disk array vendors, and four from software-defined storage vendors. It turns out one of the vendors stands-out with lower TCO based on industry standard hardware and attractively priced software licenses with support included. 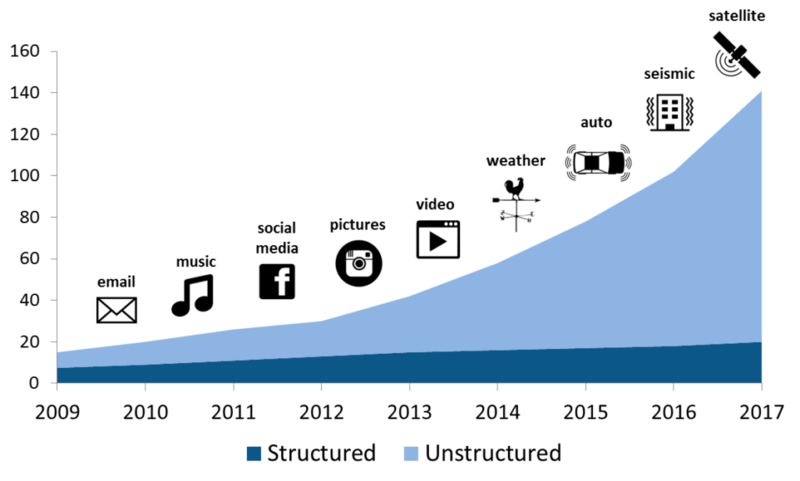 The chart above shows that by 2017, 85% of data will be unstructured data, most of which is infrequently accessed. As a result, one of the biggest challenges for enterprise storage architects is migrating from proprietary, transaction-oriented disk arrays, which are expensive. The destination is more cost-effective software-defined storage which leverages open-source software and industry standard server hardware. The product pricing (cost) data used in this case study comes from on-line resellers and solution providers who responded to a request for quote (RFQ) from IT Brand Pulse. The hardware, software and service products used in this case study all met the requirements specified in the RFQ. Differences in the products and services are described in the product overviews. Storage architects and administrators are now faced with three distinctly different classes of storage solutions to evaluate: 1) cloud storage-as-a-service, 2) traditional hardware disk array, and 3) software-defined storage apps which run on industry-standard servers. This report examines four disk array systems and four software-defined storage systems, including software server hardware from Supermicro. Entry-level disk arrays were utilized because they met the performance, availability and useable capacity requirements of the online archive application evaluated in this report. If, instead, performance-oriented mid-range or high-end storage arrays were used, the five-year TCO would have been significantly higher. 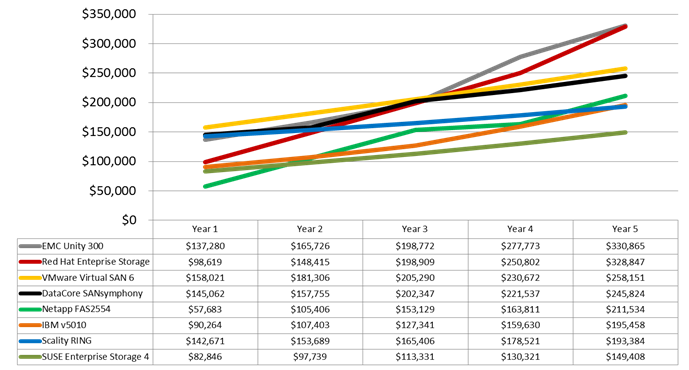 The chart below shows a side-by-side comparison of eight bulk storage solutions based on pricing provided by the manufacturers or their channel partners. The clear price leader for this class of solution was SUSE Enterprise Storage 4. 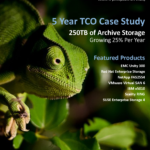 The data in this report indicates that traditional enterprise storage is under tremendous price pressure from software-defined storage available from vendors like SUSE. The bottom line? IT organizations looking to lower the cost of archived data should evaluate software-defined storage solutions. Based on easy-to-service x86 servers, the technology is proven by hyperscale public cloud providers and can be deployed in private clouds for 1/3 the cost of branded storage. Frank Berry is founder and senior analyst for IT Brand Pulse. As former vice president of product marketing and corporate marketing for QLogic, and vice president of worldwide marketing for the automated tape library (ATL) division of Quantum, Mr. Berry has over 30 years of experience in the development and marketing of IT infrastructure. If you have any questions or comments about this study, contact frank.berry@itbrandpulse.com.